I had all intentions of finishing my Valley of Fire II print before I left on a little trip across the West US, but I decided I needed more bokashi-practice. 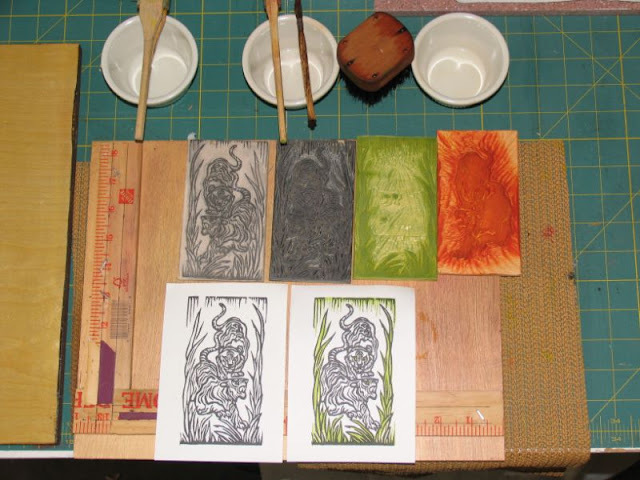 So my blocks for that print are all cut and ready to print when I get back. 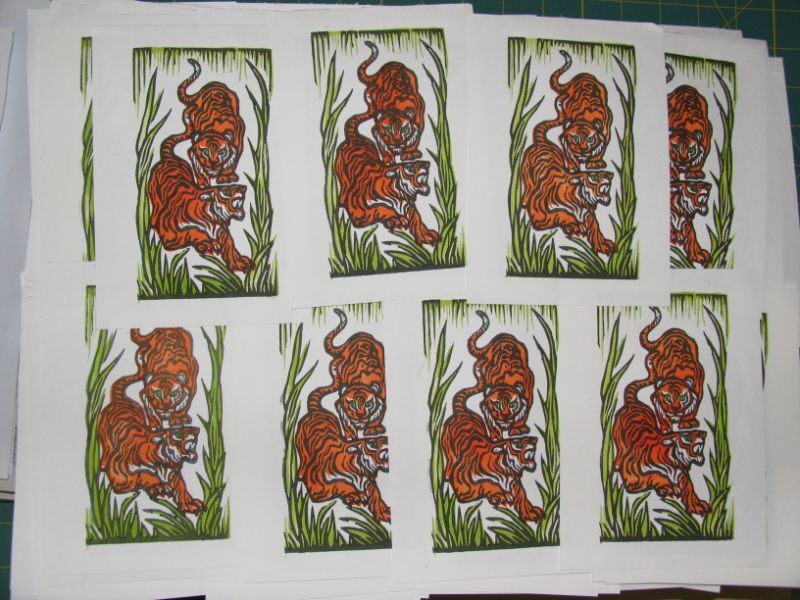 Meantime, I actually got my Chinese Lunar New Year 2010 Tigers all done! This was a fun little print where I wanted to push the Shina ply a bit and see how small I could go before cursing and throwing my tiny blocks out the window. Luckily, none of that came to pass and my proud little tigers are all ready to travel. In any case, the tigers will fly off tomorrow. I'm still debating whether to buy actual Tiger stamps or use up the Ox stamps that I overbought from earlier this year. I guess you'll see when you get them!